(CNN) - The family of Antwon Rose II was emotional as the trial of the former East Pittsburgh police officer charged in the shooting death of the unarmed teen began Tuesday, one of their attorneys said. Attorney Lee Merritt said relatives of Rose had to leave the courtroom several times during the trial's first day of testimony. "So far the defense has made this trial about putting Antwon Rose on trial for his own murder. That is a very difficult process for the family to watch happen," he said. Merritt also said he had spoken with prosecutors Tuesday and encouraged them to put Antwon's humanity on display. "There's been no perspective on Antwon's life, who he really was," he told reporters at the Allegheny County Courthouse. "There hasn't been a single picture of Antwon Rose alive introduced in five witnesses. The only pictures that they've seen are of his corpse." Michael Rosfeld, 30, shot Rose three times as he fled a car after a traffic stop on June 19. Rosfeld faces a criminal homicide charge, which includes murder, voluntary manslaughter and involuntary manslaughter under Pennsylvania law. On Tuesday, a prosecutor urged jurors to focus on what was going though the officer's mind at the time. But defense attorney Patrick Thomassey told jurors to ask themselves what a reasonable police officer would do in the same circumstances. Thomassey argued Rosfeld did not leave his home that day with the intention of shooting someone. 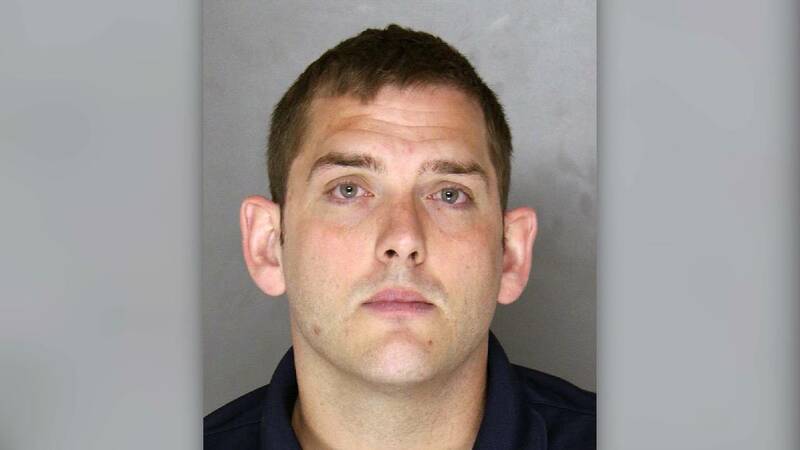 "Focus on what was going through Michael Rosfeld's mind at the time that he shot and killed 17-year-old Antwon Rose," prosecutor Dan Fitzsimmons told jurors during opening statements. He acknowledged that Rose's DNA was on a gun found under the car's front seat but Fitzsimmons said the technology can pick up the slightest fragments of DNA. Fitzsimmons said video will show Rose running from Rosfeld and "causing him no danger whatsoever." Thomassey told jurors that they will hear from an expert in the use of force by police who will discuss justifiable conduct and training of police officers. He argued that the prosecution could not find an expert who could say Rosfeld was wrong, "because he wasn't." The defense attorney called Rose an "accomplice" in an earlier drive-by shooting. The jury has been selected from Dauphin County, which is about 200 miles from Pittsburgh, after a ruling that the publicity around the case had affected the jury pool in Allegheny County. The trial is taking place in Pittsburgh with the jurors from Dauphin County. Sgt. Brian Hodges, of the North Braddock Police Department, testified that he was first to respond to a drive-by shooting in which a man had been shot in the abdomen. He said Rosfeld and his partner as well as officers from the Rankin Police Department arrived later. Rosfeld and his partner left the scene after a bystander provided a description of the vehicle involved in the drive-by shooting, Hodges testified. The sergeant told the jury that he heard Rosfeld say over the radio that he was going to stop a vehicle that matched the description provided to police by the bystander. Hodges could not recall whether the stop was described as a traffic or a felony stop. Hodges said he left the scene of the drive-by shooting and headed to the vehicle stop when he heard over the police radio that gunshots had been fired. He testified that he arrived and saw a young, African-American male lying face down in a grassy area. There were bullets holes and shattered windows in the vehicle involved in the stop. The jury in this racially charged case is predominantly white and older, with two jurors under age 40 and three black jurors, according to CNN affiliate KDKA. Rose's killing triggered protests and outrage in Pittsburgh over the officer's use of deadly force. On Tuesday, supporters of the slain teen hung purple flowers -- his favorite color -- on trees outside the courthouse. Some wore purple to the first day of trial. His mother, Michelle Kenney, wore white. "Antwon Rose II's family and friends are braced for a trial centered around their most painful loss, the one caused when Michael Rosfeld's service weapon left an irreparable hole in their collective souls," Fred Rabner, another lawyer for Rose's family, said in a statement. "To them and the many watching this unfold, locally and all over the country, a conviction of Rosfeld would be a momentous first step towards restoring justice and give this hurting family some semblance of peace." Rosfeld shot Rose three times as he fled a car after the June 19 traffic stop. According to Allegheny County police, Rose and another passenger "bolted" from the vehicle when the driver was ordered to get out of the car. Rosfeld opened fire, striking the teenager, police said. Rose was shot on the right side of his face, his right elbow and to the right of his spine. "Three shots in the back. How you justify that?" the protesters chanted after his death. Those who knew Rose described him as a generous, promising student who volunteered regularly at a free store that provided clothes, food and other items to members of the community. Police had been searching for a light gold Chevrolet Cruze after a surveillance video showed a man roll down the Cruze's rear passenger window and open fire with a handgun. Rosfeld had pulled over a light gold Cruze with its rear window broken and with two bullet holes, according to the criminal complaint. Rose was in the car suspected in the earlier shooting, but did not appear to be the shooter, according to the complaint against Rosfeld. "By all accounts, Mr. Rose never did anything in furtherance of any crimes in North Braddock," Allegheny County District Attorney Steve Zappala said in June. 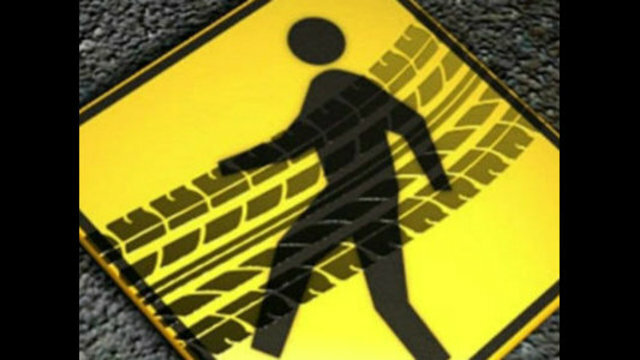 Witnesses told investigators that Rosfeld ordered the driver out of the car and appeared to handcuff him before turning his attention to the other occupants. Rose and another passenger ran from the vehicle, and Rosfeld opened fire, Allegheny County police said. A witness to the shooting captured it on video. The woman recording the video says, "Why are they shooting at him?" "All they did was run and they're shooting at them." Rosfeld told police his intention had been to get all three occupants on the ground as he awaited backup, according to the complaint. After ordering the driver onto the ground, he said, the front seat passenger exited the vehicle and "turned his hand toward Officer Rosfeld and he, Officer Rosfeld, saw something dark that he perceived as a gun." He then stepped out from behind his car door for a better view and opened fire. Asked again to recount the events, Rosfeld "told the detectives that he did not see a gun when the passenger emerged and ran. When confronted with this inconsistency, Rosfeld stated he saw something in the passenger's hand but was not sure what it was," the complaint said. Rosfeld had been sworn into the East Pittsburgh police force just hours before the shooting, the complaint said. He'd worked with other local departments for seven years, CNN affiliate WPXI reported. Months after Rose's death, the East Pittsburgh Police disbanded. Officials said it was because the department was small with limited resources and couldn't compete with larger police agencies that offered full-time work with better pay and benefits. Clarification: This story has been updated to make clear how Sgt. Hodges heard that there had been reports of gunfire.